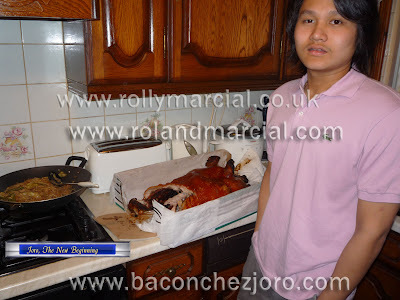 The most handsome boy in Northfield, Carlo Espinoza, had celebrated his 22nd birthday last Wednesday, 22nd of April. I went there by bike. 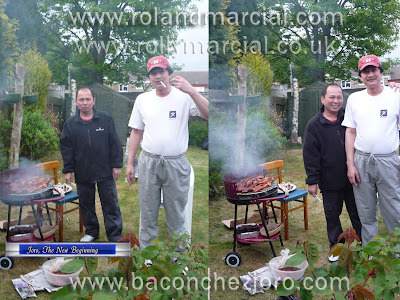 There were lots of foods served in the table and a barbecue grilled by Butch. The same faces were present. It was also a joint party for the thanksgiving of Wilmer Ragudo. As usual, I brought lots of take home foods. That is my favourite time. 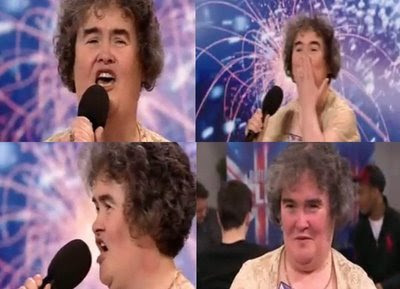 Susan Boyle Is Now A Star! 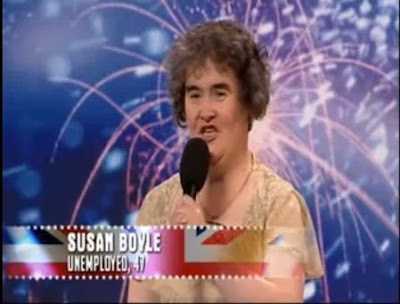 Remember Susan Boyle? 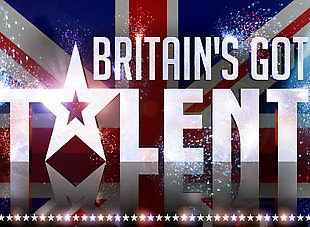 She is one of the contestants for the TV reality show "Britains Got Talent 2009". She shooted to fame by singing the Les Miserables "I dreamed of a dream". The judges like Simon Cowell, Amanda Holden and Pieres Morgan put their faces into a big surprise. As the judges were judging on her personality in the beginning, but as she started singing, everybody in the audience including the 3 judges were shocked. Even myself could not believed of her angelic voice. A rare CD recording of Susan Boyle accompanied by a signed Christmas card is going for £1,000 on eBay. The CD, which claims to be "probably the only type in existence (Extremely rare if not unique)", is a recording of the 'Britain's Got Talent' sensation singing a selection of West Lothian classics and easy listening favourites before she was famous. Sue also took time out yesterday for a makeover. She said: "It wasn't until I saw myself on TV that I realised how frumpy I was. It's not a big thing, it doesn't worry me too much, but I will be doing a bit more exercise to help me sort it out. I just want to look nice and smart." The ‘Britain’s Got Talent’ singing sensation appeared on the streets of Blackburn in Scotland dressed in a leather jacket and a psychedelic dress, and the 47-year-old self confessed virgin was rocking the streets of her home town in West Lothian after her makeover. The singer - who critics are calling the next Paul Potts, a previous winner of the show - is up there with the likes of London fashion idols Kate Moss and Sienna Miller thanks to her new look... sort of! She is certainly keeping up with the latest fashion must haves. She has the leather jacket, high heels and even the bling. 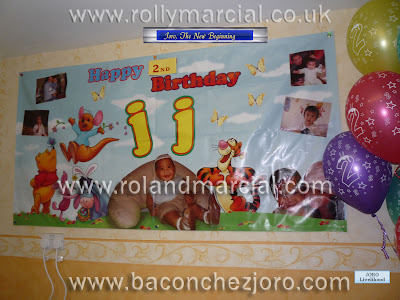 JJ Alian, the second child of Mabel and Allen had just celebrated his second birthday with a bash last Easter Monday colliding with the beautiful spring weather and the resurrection of Jesus Christ. 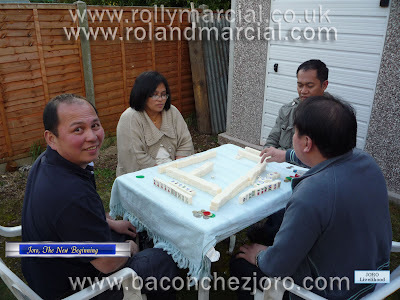 Alice, Allen, Sherwin playing the mahjong. I know Alice won it all. Everybody had a wonderful time especially the kids as the party opened with the traditional easter egg hunting laced in the garden. The men had their own group session of drinking and the ladies were on the other side, busy chatting and eating including me. The foods were extraordinary and the taste was heavenly. 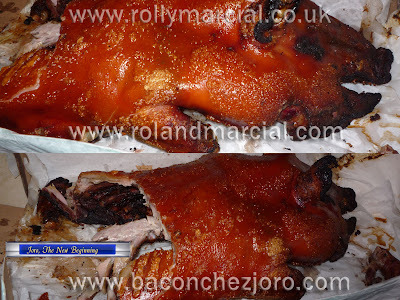 I love to eat Pinoy foods of course. There were lots of desserts as well. In the garden, the children were playing and Alice group played the mahjong. As I know, Alice toppled them all. I went home early as 730pm with the bagful of takeaway foods. Within the body of Christian beliefs, the resurrection of Jesus is a core biblical story on which much of Christian doctrine, ritual and theology depend. 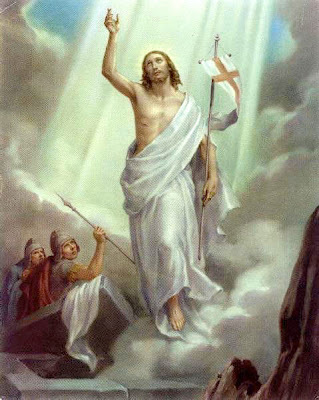 According to the New Testament, Jesus was crucified, died, buried in a tomb and resurrected on the third day.This event is commemorated annually by Christians during Easter. Happy Easter to all Christians in the world. Liturgically speaking, Holy Saturday lasts until dusk, after which the Easter Vigil is celebrated, marking the official start of the Easter season. In Roman Catholic observance, during the "Gloria" of the Mass (which is the first Mass since that of Holy Thursday), the church statues and icons, in places where they are covered with purple veils during Passiontide, are dramatically unveiled. Holy Saturday is the day before Easter in the Christian calendar. It is sometimes called Easter Even, especially by Anglicans, or Low Saturday. Filipinos often call it Black Saturday or Sábado de Gloria, while in the Czech Republic and Slovakia it is called White Saturday, probably because of white garments of the newly baptized. 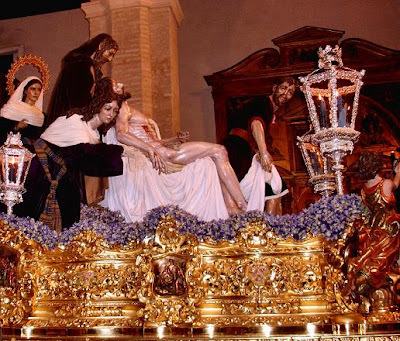 It is the seventh and last day of Holy Week, and part of the second day of the Easter Triduum. Holy Saturday is also often incorrectly called Easter Saturday, a term that properly refers to the following Saturday. In Roman Catholic Churches, the altar is either stripped completely bare or coloured in violet, while the administration of the sacraments is severely limited. Holy Communion is given only as Viaticum. All Masses are strictly prohibited. No Mass at all appears in the liturgy for this day, nor for the preceding day, Good Friday. Liturgically speaking, Holy Saturday lasts until dusk, after which the Easter Vigil is celebrated, marking the official start of the Easter season. In the pre-1970 Roman Catholic observance, during the "Gloria in Excelsis" of the Mass (which is the first Mass since that of Holy Thursday), the church statues, which are covered with purple veils during Passiontide, are dramatically unveiled. Great Lent was originally the period of catechesis for new converts in order to prepare them for baptism and chrismated on Easter. 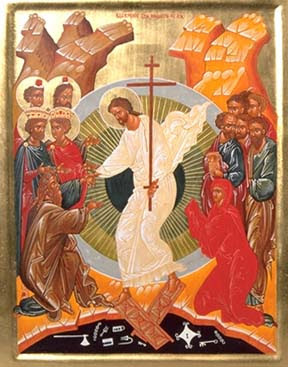 Prior to the composition of the current Paschal Vigil by St. John of Damascus this day's vesperal Liturgy was the main Easter celebration, and the traditional time to receive converts is still immediately prior. The most important events in Christianity are the death and later resurrection of Jesus Christ, the Jewish prophet who Christians believe is the Son of God, and whose life and teachings are the foundation of Christianity. Good Friday is the Friday before Easter. 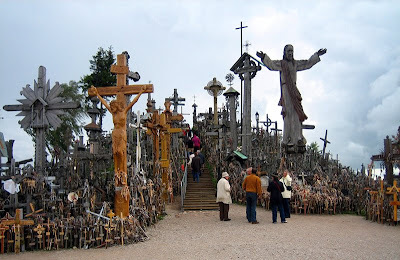 It commemorates the execution of Jesus by crucifixion. Good Friday is a day of mourning in church. During special Good Friday services Christians meditate on Jesus' suffering and death on the cross, and what this means for their faith. In some countries, there are special Good Friday processions, or re-enactments of the Crucifixion. The main service on Good Friday takes place between midday and 3pm. In many churches it takes the form of a meditation based on the seven last words of Jesus on the cross, with hymns, prayers, and short sermons. The Bible quotes seven last sentences that Jesus spoke from the Cross. 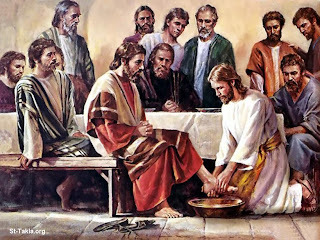 In the Christian calendar, Holy Thursday - also called Maundy Thursday and, in the Eastern and Oriental Orthodox Churches, Great Thursday is the feast or holy day on the Thursday before Easter that commemorates the Last Supper of Jesus Christ with the Apostles. It is followed by Good Friday. On this day four events are commemorated: the washing of the Disciples' feet by Jesus Christ, the institution of the Mystery of the Holy Eucharist at the Last Supper, the agony of Christ in the Garden of Gethsemane, and the betrayal of Christ by Judas. The evening celebration of these events marks the beginning of what is called the Easter Triduum or Sacred Triduum. The Latin word "triduum" means a three-day period, and the triduum in question is that of the three days from the death to the resurrection of Jesus. In the time of Jesus, and still today in some cultures, such as the Jewish, the (24-hour) day was reckoned not from midnight, but from sunset. 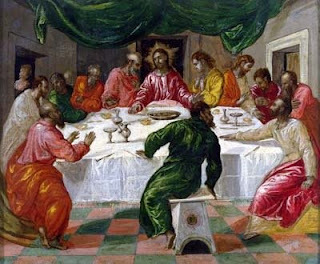 The Last Supper was held at what present-day Western civilization considers to be the evening of Holy Thursday but what was then considered to be the first hours of Friday. 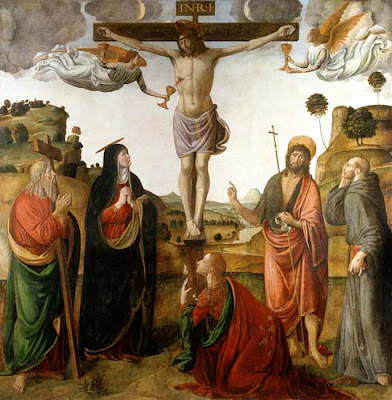 Its annual commemoration thus begins the three-day period or triduum of Good Friday, Holy Saturday and Easter Sunday, days of special devotion that celebrate as a single action the death and resurrection of Christ, the central events of Christianity. 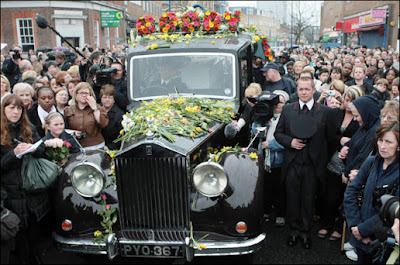 JADE GOODY, in her final journey as extraordinary and memorable as the woman herself. 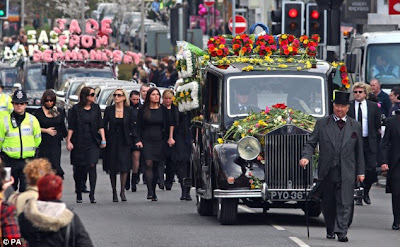 From the 21-car funeral cortege, to the extravagant and humorous floral tributes, to the mass out-pouring of grief, Jade Goody's funeral was a send-off fit for royalty she deserved to get. To the many thousands of fans who came to say goodbye, Jade was indeed the People’s Princess. From the neighbourhood where she played as a child, to the suburbs where she grew into a woman and mother, a swell of affection and sadness swept through the streets. In her final weeks, showing that familiar determination right to the end, Jade, 27, planned out her own funeral route — retracing her tragically short life. Everyone kept remarking yesterday that Jade Goody was just an ordinary girl. 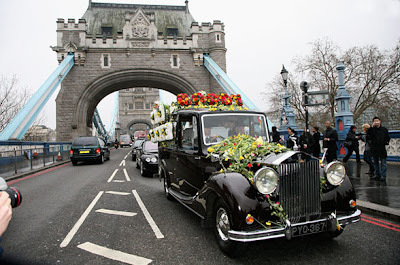 Yet with second-by-second coverage on TV, thousands of people lining the streets of London and Essex and flowers thrown Princess Diana-style on to her vintage Rolls-Royce hearse, there was nothing run-of-the-mill about her funeral. They came in their thousands to say farewell. Ordinary people lining the streets as one of their own-an extraordinary girl- passed by. Jade Goody's final journey to her grave yesterday was like her brief passage through life-a mixture of tears and laughter. Of deep sadness and emotion . . . and typical in your face Jadeness. Hundreds of bunches and single blooms-daffodils, chrysanthemums and pink roses-were thrown onto the bonnet of her hearse along the 27-mile route of the cortege by roadside mourners in an echo of Princess Di's funeral-this time for the girl dubbed by Stephen Fry "A Princess Di from the wrong side of the tracks". I've been suffering from constant headache for few months now. Before, it could be relieved with Paracetamol but now, it is not effective anymore. Sometimes, I just ignored it but it is always there, it would not go. If anyone of you knows more about this, please let me know as I'm getting worried and anxious. I made an urgent appointment to see my neurologist specialist to give me medications because I was not given any medication to dissolve it except for Paracetamol. I can't take non-steroidal anti-inflammatory drugs as this will upset my stomach. I'm always praying to God and Jesus Christ to get me out from this pain. This is my first priority now. gland. My neurologist said that it is more likely that I have it since I was a child but just now, I noticed it and seen through MRI scan (magnetic resonance imaging). He said that I have nothing to worry as pineal gland cyst is more likely to be benign, meaning, not cancerous. But you know, to my own point of view, it is not nice to hear that you have a cyst and of course, I will think of something else. But he assured me that I have nothing to worry. The pineal gland (also called the pineal body, epiphysis cerebri, or epiphysis) is a small endocrine gland in the vertebrate brain. It produces melatonin, a hormone that affects the modulation of wake/sleep patterns and photoperiodic (seasonal) functions. It is shaped like a tiny pine cone (hence its name), and is located near to the centre of the brain, between the two hemispheres, tucked in a groove where the two rounded thalamic bodies join. A pineal cyst is a fluid-filled mass that can occur in the pineal gland. True pineal gland cysts are not brain tumors; rather, they are a completely benign cyst. The cause of these cystic masses are not known. The large majority of pineal gland cysts do not enlarge much if at all. However, some enlarge over time slowly. 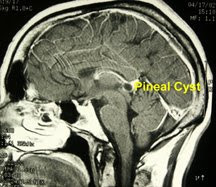 Although a true pineal cyst is benign and usually harmless, because they can mimic a tumor, they often need to be distinguished from other cystic tumors which can occur in the region of the pineal gland.